On the Office 365 page, sign in with your SIUE username and password. Check “Keep me signed in” if you don’t want to sign in each time you open an Office 365 document. Tap Sign in. Your OneDrive for Business and team site are now added to Places. 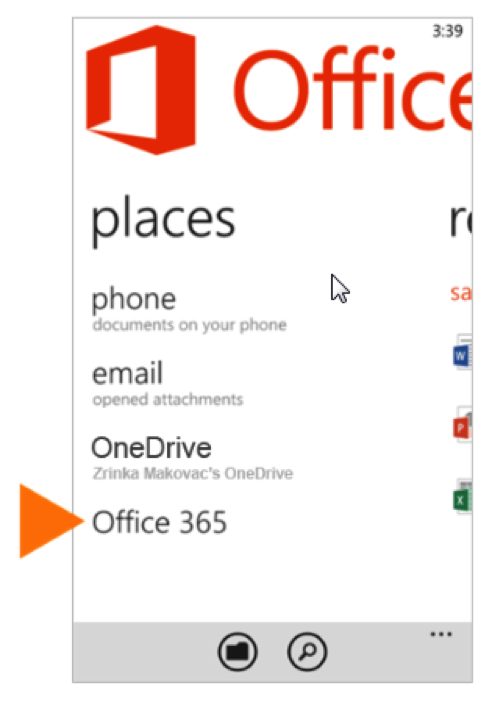 Windows Phone is pre-installed with the Office Mobile app. Office Mobile is where you create new Office Word, Excel, and PowerPoint documents and where you can view and edit documents stored on OneDrive for Business or SharePoint sites.